You can imagine the intensity of negative impacts we are putting on the globe. As we have discussed in our earlier blogs that the ecosystem is an interdependent community of living and non living components, and every organism or element in the ecosystem play a very important role for the ecosystem to function right. Therefore, how well our eco-system performs depends on the number of components or species present in the ecosystem. It is very important that all species remain and function in the eco-system and maintain a biodiversity. Mother Nature has perfected a balance in the ecosystem over millions of years which we humans are putting at jeopardy with our man made disturbances. IN order for the eco-system to perform well, all living components, such as animals, birds, insects, microorganisms, plants, and other living things must be left to interact with each other with themselves as well as with other non living components such as air, water, soil, etc. The interaction between these components is connected through a food chain or energy flow in the ecosystem. Below we have top 10 endangered species of animals around the world. 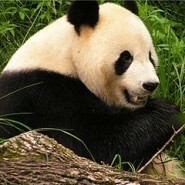 Giant panda is probably the most talked about endangered species among the animal conservationists around the world. Giant pandas are bears living in the forests of central China. They are well tree climbers and are recognized by their black furry body, white fur on their face, and black patches on its eyes and ears. 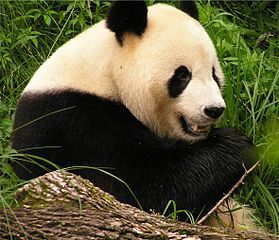 Diet: Although giant panda’s digestive system is a carnivorous type, whey will eat bamboo shoots. However, they get very little energy and protein by eating bamboo shoots, and so must consume as much as 45 pounds of bamboo shoot every day. They are also known to eat flowers, rodents, grasses, corn, and honey. Habitat: They are now only found in the mountains of Central China. Population: The estimated number of wild Giant Pandas left in the world is 2,000. 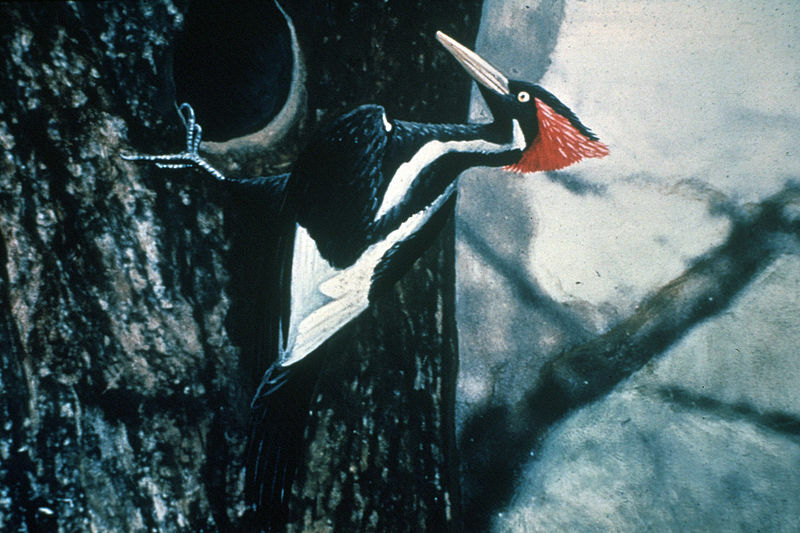 This giant bird was considered scotch. . Ivory Billed Woodpecker lives or last reported in the southern parts of the United States and some areas in Cuba. Recently a video of the Woodpecker aroused the conservationists in the USA and a handful of sightings have been reported in Florida and Arkansas. The population of these birds is almost zero now, due to deforestation, loss of habitat, and uncontrolled hunting. 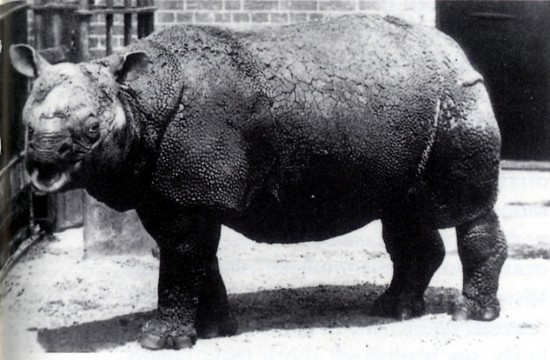 Among the five species of the rhinoceroses around the world, Java rhino is the most endangered species. They belong to the same genus as the genus as the Indian rhinoceros . The average size of this animal is about ten to ten to eleven feet in length, and four to six feet tall. It has a thick armor like skin. It formerly roamed in the swamps and waters of Indonesia and Vietnam. Habitat: They are found in the in Ujung Kulon National Park at the western tip of Java Islands of Indonesia, in Ujung Kulon National Park.The last members of a small group of rhinos were in killed 2011 by poachers Cat Tien National Park in Vietnam. Population: The estimated number of rhinos today around 40-60. Sportive Lemurs are small animals weighing less than two pounds with large eyes. 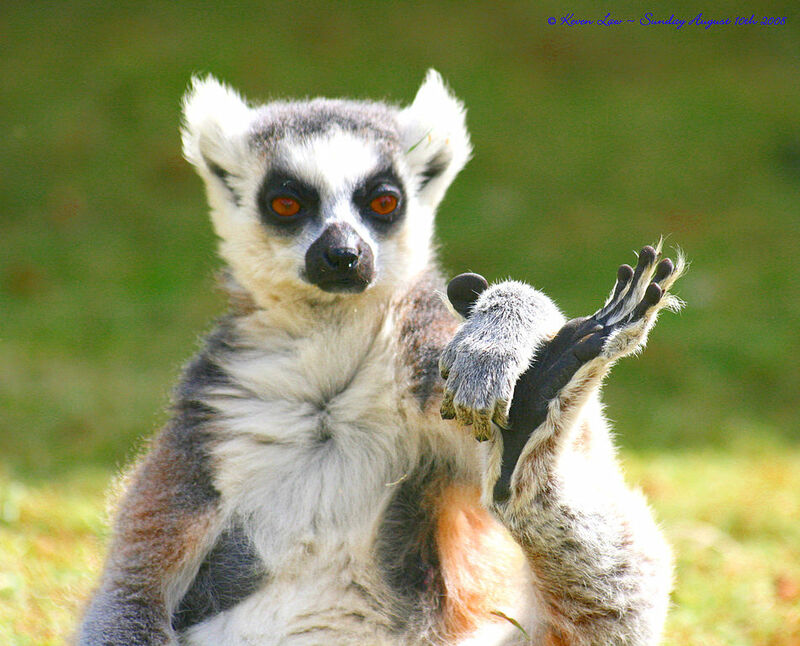 There are about 100 different species of Lemurs living in the Islands of Madagascar. The number of these animals is declining at dramatic rates, due to habitat loss and environmental impacts. Habitats: almost all Lemurs found today live on one single mountain at the northern tip of Madagascar. Among all species of whales, these are the most critically endangered species of whales. They are huge sea mammals, 49 to 60 ft long and weigh about 110,000- 180,000 pounds. They got their name from the 19th century whale hunting when they were considered the right whale to kill. Right whales were full of whale oil and they floated after being killed, making them an ideal target for poachers. Habitat: Atlantic coasts of Canada and the US. Population: The estimated number of whales in the wild today is estimated between 30-50 individuals. Saola or Vu Quang ox, is a rare species of animal, close relative to goats, cattle, or antelope, which is often referred to as the Asian Unicorn, because it’s so rare. They are critically endangered animals, and only a few of them are left today. They are a little over a three feet tall and weigh about 220 pounds. Diet: Saola is an herbivorous mammal, and it will mostly eat fig leaves and stems along the river. Habitat: Tropical forests between Vietnam and Laos, and moist forest of Indochina, in the steep river valleys, 300 1800 meters above sea level. Population: It is estimated that only a few dozen Saola individuals are left in the wild today. 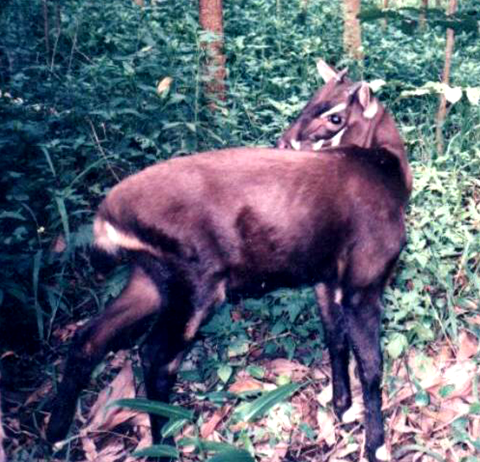 The uncontrolled gaming, handing for skin, loss of habitat, climatic changes, and so on contributed to the decreasing number of Saola population. Leatherback Sea Turtle is the world’s largest sea species of sea turtle with latest range of species swimming all over the world. Today, the number of Leather black turtles has declined sharply all over the world. Population: the number of leather black sea turtles left is about 20, 000 to 30,000 globally. The cause of population decline is changes in global climate, human activities, hunting, and so on. Chinese Giant Salamander is the world’s largest aquatic creature growing up to six feet in length. Historically its habitat was in the streams of south western, south eastern and central china. Now they are almost extinct. The recent global changes, hunting, loss of habitat, and human activities are responsible for their extinction. The dodo bird, also known as the tooth billed pigeon, is only about 12 inches in length, and a close relative to the big Dodo Bird, which lived in the islands of Mauritius and became extinct 400 years ago. The little dodo bird is also facing extinction. 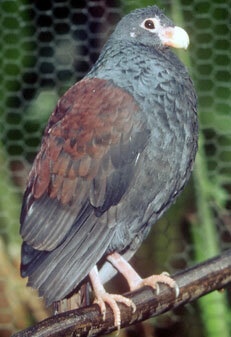 Only a few hundred little dodo birds remain today, in the Samoan Islands. The Kakapo parrot living in New Zealand is a distinctive creature because it is one of the largest species of parrots found in the world, weighing over 9 pounds. It’s the only world’s nocturnal flightless parrots. these birds were thought to be extinct by 1970 but several remote islands today near New Zealand currently have been found with less than 150 individuals. Most of the species are suffering due to human activities. Poaching, hunting, loss of habitat, loss in food, global climatic changes, is among the main reasons responsible for the declining number of spices and extinction of species. Despite intensive programs for conservation, protection, and breeding, some of the critically endangered species are continuing to disappear. Please share this article and increase global awareness to prevent extinction and preserve the endangered species globally.